In the celebrated American decision in Brown v. Allen, Justice Robert H. Jackson of the Supreme Court of the United States admirably penned: “We are not final because we are infallible, but we are infallible only because we are final”. This squarely applies to the Supreme Court of India, the final forum of adjudication under our Constitutional Scheme. On the appellate side, our Supreme Court may hear appeals,which either the High Court certifies as fit for appeal, or in exercise of its discretionary power to hear the appeal by granting special leave under Article 136. The former seldom happens, and therefore the latter is grossly molested.What is special about the leave is that it is elective. The bench may or may not reckon that it deserves adjudication. Another distinct characteristic about leave under Article 136 is that it can be sought from any decision of any court or tribunal, in comparison to regular appeals, which can only be preferred from decisions of a High Court, or where statutorily provided. In 2010, in the matter of Mathai v. George, a bench of Katju & Lodha JJ., noted that about 55,000 cases were pending adjudication and about 70,000 fresh cases were being filed each year, a large number of which were special leaves. They felt that the scope of filing special leaves be restricted to only certain category of cases for example where substantial questions of law in respect of interpretation of the Constitution arose, or matters of national importance. They also noted that the Supreme Courts of US and Canada respectively heard only about 100 and 60 cases per year. It was also observed that every kind of matter, even trivial ones such as amendment applications, were being contested right upto the Supreme Court. The bench borrowed from a catena of judgments and from a lecture of eminent Senior Advocate, Mr. KK Venugopal who was of the profound view that the Supreme Court had strayed from its intended purpose and was reduced to a regular court of appeal, and thus having accumulated vast arrears had eroded the confidence of the litigant who awaited hearing of his matter listed years ago.The bench referred the matter to the Constitution Bench to interpret Article 136 and to lay appropriate guidelines. However, in 2015, a Constitution Bench headed by Dave J., has refused to restrictthe scope of Article 136, though it has noted that the power is to be used with circumspection. This order deserves to be reviewed from the angle of proliferating pendency and that the referral order did not intend to shut the gates of the court, but to filter who was to be allowed based on what type of order he impugned. Dr. Rajeev Dhavan, distinguished jurist,recognizes the challenges of overburdened courts in his literary work - The Supreme Court under strain: the challenge of arrears. There are talks of establishment of a National Court of Appeal with benches in major cities. 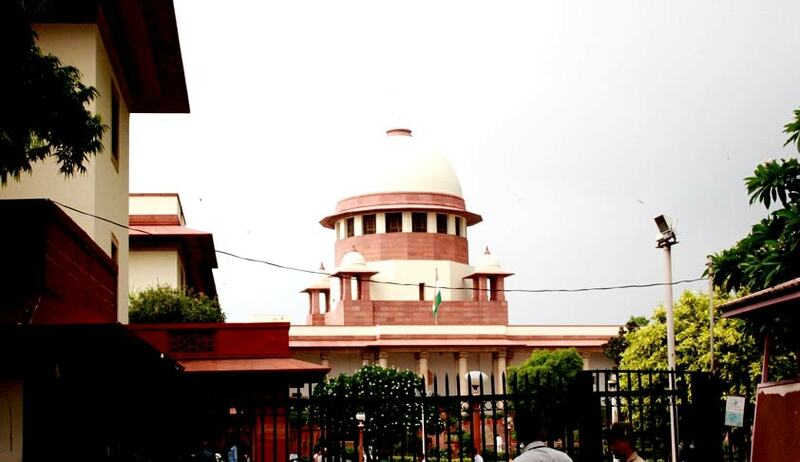 If the recommendations in the referral order are taken into account and guidelines are formulated, the vacancy of 6 judges in the Supreme Court against the established strength of 31 is filled expeditiously, and compulsory costs are levied on frivolous appeals, then the pendency can be battled without the need for these extra courts. Recently, a bench of Gogoi & Ramana JJ., burdened appellants in a matter with costs of Rs. 5 lacs for withdrawing their appeal, noting that the bench had to go through 900 pages of documents which led to wastage of valuable judicial time. The litigant, whose matter was listed but has not come for hearing is left to twiddle his thumbs, and his confidence in the judicial system of this country is withering. I started by quoting the Supreme Court of the US andin conclusion I bring myself back to it to quote Justice Scalia who said that "the Constitution says what it says, and it does not say what it does not say". Our Constitution says 'Special leave'. Let it remain special. The author is a law student at the Faculty of Law, Delhi University.